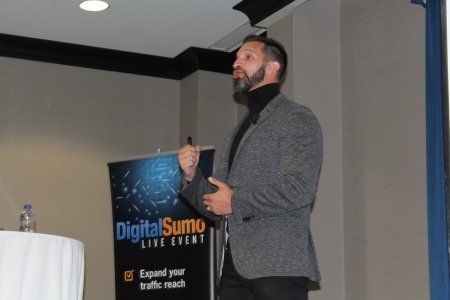 We just wrapped up the Digital Sumo 2018 Live Event and based on the feedback from the attendees, it was our best event to date. We had attendees fly in from all over the world to learn about what is working for traffic and conversions in 2018 and beyond. There is actually a lot of work that goes into putting on a live event and with a great hotel staff and video service, everything went really smoothly. I delivered the introduction and basically went through the entire agenda, including a description of what topics each speaker was going to cover. 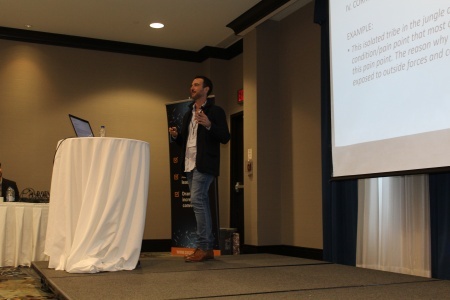 Dathen Fairley spoke first on the topic of compliance and how it is affecting advertisers on major platforms like Google Ads and Facebook Ads. I asked Dathen, specifically, to address what advertisers can do to make sure they are not shut down or banned from advertising on major platforms. I’ve never seen a speaker be able to turn a dull topic like compliance into an entertaining talk quite like Dathen did. Dathen covered in detail what major ad platforms do to protect themselves from external parties and talked about what you should be designing your advertising around to never run into any issues down the road. Dathen was instrumental in helping one of our companies get back on Google Ads after almost four months of very little traffic due to compliance issues. Ian Stanley (Mr. 80/20) entertained all the attendees with his great humour and taught strategies to help marketers get more money from their email campaigns. Ian is a master copywriter and routinely charges his clients thousands of dollars to write their emails. 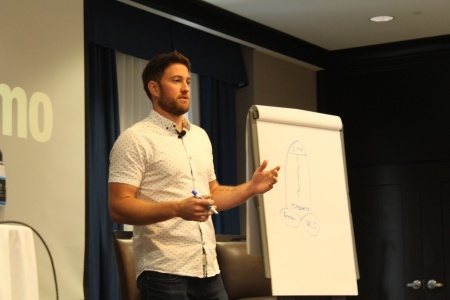 His clients have no problem paying him thousands of dollars because he always gets back a large return-on-investment (ROI) with the emails he crafts for them. Ian also did a bonus talk on attracting more money into your life and the simple things you can do to start increasing your wealth almost immediately. A lot of us tend to over-complicate things or avoid the things we know can push our businesses to the next level. Ian might be young, but he has accumulated a ton of wisdom running and helping dozens of businesses scale their profits. 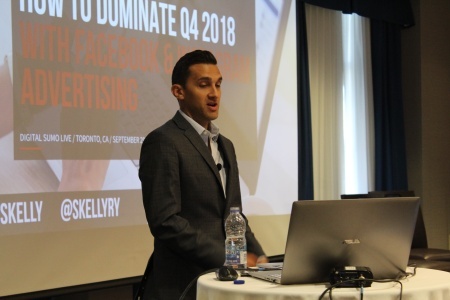 Ryan Skelly came on after Ian to teach what is working for Facebook and Instagram Ads. Ryan was instrumental in helping one start-up scale from zero to over $25K a day in just under 42 days. It was a very detailed and technical presentation with a ton of quick takeaways that anyone can implement right away for their Facebook ad campaigns. Ryan runs his own digital ad agency, so he does a lot of testing with large ad spends and has acquired a huge amount or information on how the Facebook algorithm works and what you can do to take advantage of this information. We currently don’t do a lot of Facebook advertising, but with the new features and tactics Ryan covered, we’ll be getting back into it. The next session that I was most personally interested in watching was Stefan Georgi. Stefan is a master copywriter and his copy has generate hundreds of millions of dollars in gross sales. In fact, about 55 people paid him $10,000 to attend his copywriting workshop a few months ago. Stefan did share some of the same strategies, he uses, and ideas for creating high-converting copy with the attendees. 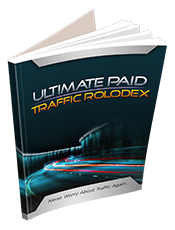 Quality traffic is important, but with a poor converting sales page, it doesn’t matter how good the traffic is. A pig with red lipstick is still a pig. With a lot of major traffic networks moving towards artificial intelligence and machine learning, buying traffic is easy. The focus should be on conversions and Stefan shared how to trigger people’s emotional buy buttons. 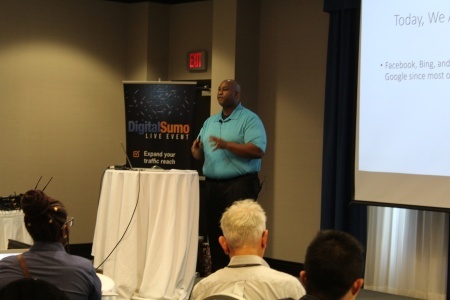 Next up was Digital Sumo’s own David Mitchell. David works as one of our head media buyers and he covered the success we are having with Pinterest Ads. He demonstrated how we are getting quality leads for much cheaper than Facebook Ads on Pinterest. I believe Pinterest is a seriously under-utilized traffic platform with a lot of potential. Most people think Pinterest is a social platform, where in fact it is a search platform. People are constantly searching Pinterest for relevant pins and content. I believe the best part of Pinterest is that every pin you create becomes an asset. The pin stays on your board forever and on other people’s board when they are repined. So you can continue to reap traffic from pins even if you shut off your paid ads. 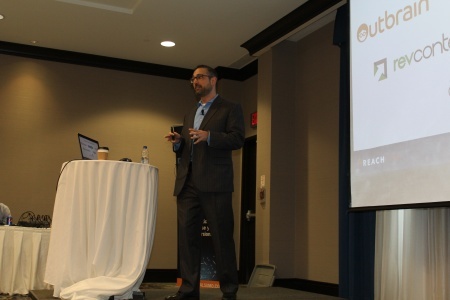 Day 2 proved to be just as exciting as Day 1 with Jordan Swanson covering native ads and how to scale native ads using demand side platforms (DSPs). There are literally billions of native ad impressions available every single day for advertisers to buy. DSPs make it easy for advertisers to tap into multiple native ad exchanges and buy tens of thousands of clicks per day. 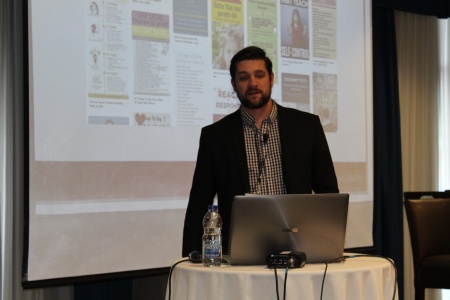 Jordan showed attendees how you can target in detail using native ads the same way you do with Facebook Ads (i.e. demographics, interests, etc.). Native advertising will only continue to grow and Jordan definitely left a favourable impression on attendees for this type of traffic. 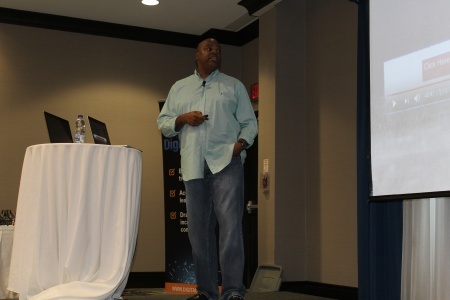 Next up to bat was Tommie Powers who delivered an eye-opening presentation on YouTube Ads and why everyone should be moving towards video ads. Tommie demonstrated all the new features within the YouTube paid platform including case studies of companies generating hundreds of millions of views on their videos. YouTube has a massive amount of unsold video inventory everyday, which is why you can purchase millions of video impressions each day for just a few cents per view. Video is probably the best medium to communicate your sales message because it can evoke emotion and capture the imagination of your viewers. I asked Vince Del Monte (who spoke at the 2017 event) to return to talk about Influencer marketing. This is a growing marketing strategy and is responsible for building billion dollar companies. Vince taught everyone how he built himself up as an influencer on Instagram in just two years and has now been able to create a six-figure MONTHLY income from just his Instagram channel. Vince also revealed how to approach influencers in your market and get them to endorse your product or service to their followers. In fact, most influencers on social media don’t know how to monetize their million plus followings and would be thrilled to receive just a few hundred dollars to endorse a product. 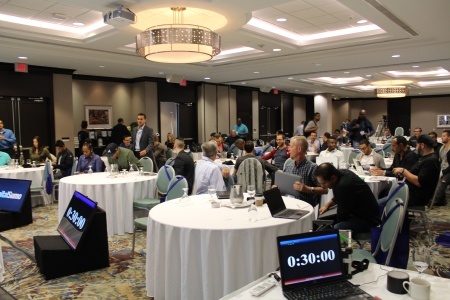 A perfect follow up to Vince’s presentation was Suresh May who spoke about high-converting web funnels. If you’re a Digital Sumo Elite member, you might remember that I did an expert interview with Suresh who explained how he was able to turn a $3,000 Facebook Ad spend into over $200,000 in sales. 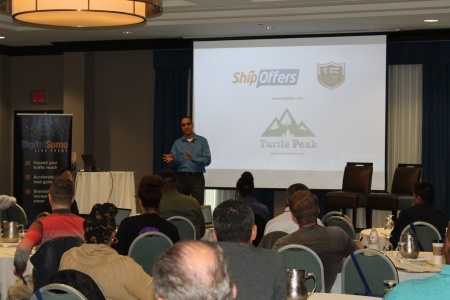 Suresh held nothing back at the live event as he shared additional campaigns in great details and how these funnels are generating thousands of dollars in sales every single day. Suresh is an expert story-teller and believes that marketing and funnels should revolve around stories to better engage potential customers. The best part of the presentation was Suresh demonstrating how he manages to do this on auto-pilot while also scaling his campaigns at the same time. 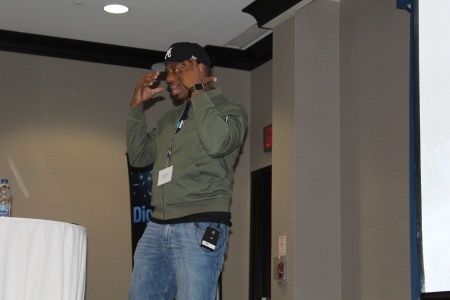 We wrapped up the event with me teaching how to get the most out of Twitter Ads. Twitter Ads is our best performing traffic source for our health supplement company and crushes Google and Facebook in terms of conversion rates. The rules for running ads on Twitter are no where near as rigid as they are on Google and Facebook, so you have a lot of flexibility to create ads that sell. 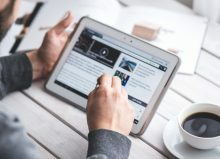 Although Twitter Ads doesn’t have all the advertising bells and whistles that Google and Facebook do, their average cost per click is much cheaper to drive quality traffic. I also revealed the ONE thing every advertiser needs to do before running Twitter Ads. If you don’t know this one thing, you’re doomed from the start. If you’re interested in purchasing the recordings for this live event, please click here. Yep. Definitely the BEST EVENT that I have attended over the past eight years and you know that I haven’t missed any of yours eh Gauher!!! The speakers WAY OVER DELIVERED, more than usual. 🙂 This Digital Sumo workshop is one for the history books.